I'm going to just start out by saying, this is one of the best Leica digital cameras I've ever handled. It's got so much going for it even though it still has some oddball quirks to it that still links it to the classic camera company trying to fit into today's modern technology world. I was given an opportunity to spend a few hours with the Leica Q, and this is my summary of my experience with it. Let's start off with some key highlights on this camera. 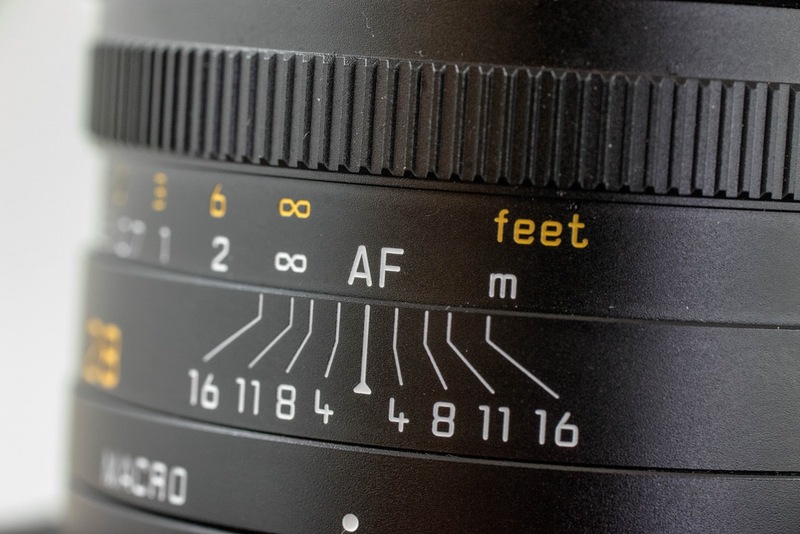 The Leica Summilux 28mm f/1.7 ASPH Lens has 11 elements in 9 groups, 3 aspherical elements. It has 9 aperture blades, and a leaf shutter built into the lens. As far as construction goes, metal construction, which has very positive rings that just feel very well built. Although I don't believe it's a traditional brass helicoid, it does feel like a quality Leica lens. Even though this is a fixed lens, don't confuse this as being just another Panasonic/Leica camera collaboration. The 28mm focal length seems rather wide for a street photographer’s camera. Some will question why they didn't make this a 35mm or even Henri-Cartier Bresson favourite focal length of 50mm. 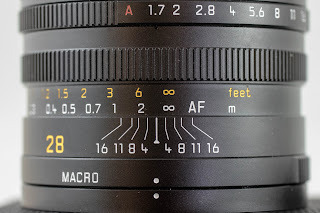 Many would likely love at the idea of a fixed 50mm F/2 Summicron. But I think it was wise of Leica not to make this product any more niche than it needs to be. The 28mm focal length takes some getting used to if you've never shot with this length, but it's a great size to get everything you'll ever need and for some, means getting a little more personal with your subjects if you want to crop closer. This is an ideal length for point and shoot/pocketable cameras. Although sized much larger than one would put into a pocket, this camera is small enough to fit in most small gear bags or purses. 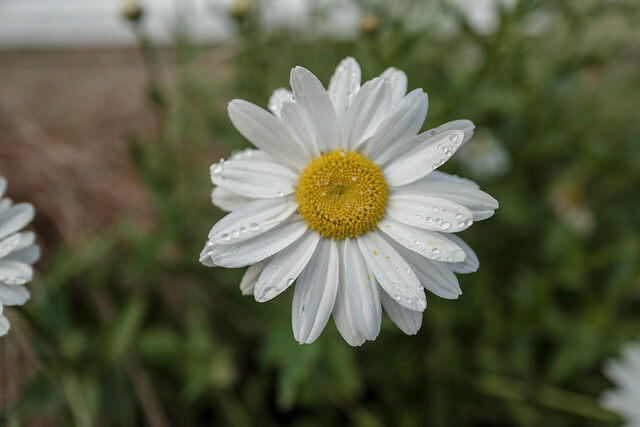 The saying goes that the best camera on you is the one in your hand and this is the right focal length and size to be that camera that is always in your bag. The sharpness of the lens is very good and of course being paired with a high resolution 24MP non anti-aliased sensor is going to yield exceptional images. The bokeh on this lens is really quite nice. 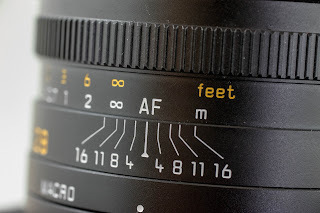 Out of focus and shallow depth of field with this lens is really easy to achieve with images that pop with a 3D quality that is signature of Leica lenses. Beautiful smooth bokeh, even with a busy background. Although the 9 blades are not rounded the bokeh is smooth and does not exhibit any erratic distracting backgrounds that one might find from a fast aperture lens. 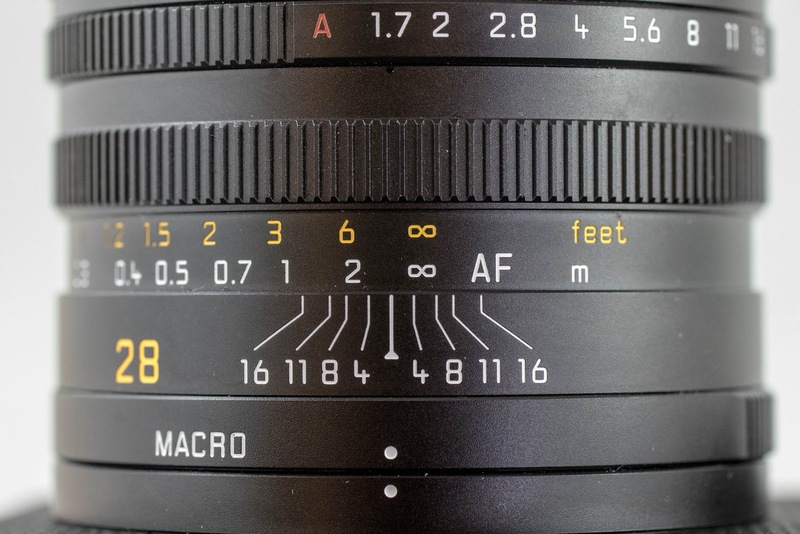 The controls on this lens are very logical and is a nice balance of traditional with modern features of Auto Focus, Auto Aperture, and macro mode. The Autofocus is engaged simply by having the focus ring parked in the AF marker on the distance ring. Once it is in this mode, the camera uses contrast detect for AF. It's very fast and responsive, and compared to most of the mirrorless camera models I've owned the past 5-6 years, this camera is very responsive by comparison..
Like many Leica M lenses, the focus has the traditional thumb lever. 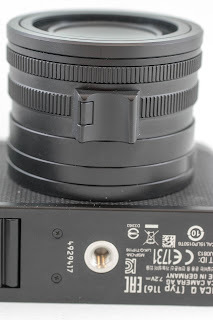 However what is unique is a slight button on one edge of the lever that allows you to push it past the infinity position to put the lens into auto focus. I have to admit I like this approach. It's a great way to introduce a discrete switch onto the camera needing another barrel button or putting more buttons on the body. It's a great ergonomic design that feels natural. I found myself actually loving how well the contrast detect AF works with this camera, but it is so easy to just flip into manual focus when you want to with accurate and nicely visible focus peaking on the display. 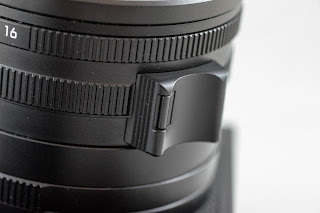 Auto Aperture is also equally easy to access, and also on the lens. Just turning this below the widest setting, puts the camera into shutter priority with auto aperture. I actually rarely tried this, but is a nice feature when you really want to dumb down the camera for quick situations that don't require a lot of thought. The macro mode is an interesting feature that basically acts like a built in extension tube. A ring on the lens, close to the camera body provides a positive turn from standard to macro mode. 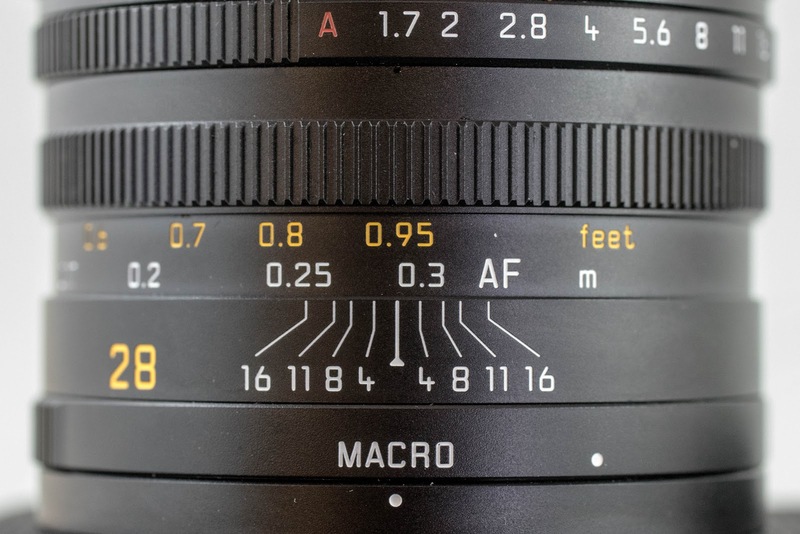 What's really clever in this design is the distance ring changes to provide the proper ranges for macro shooting. Macro Position - Note the distance scale changes. 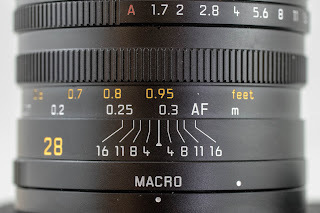 Macro also changes the aperture to a minimum of F/2.8 which is to be expected, but what might seem rather limiting with this focal length now provides a pretty versatile and decent macro lens at the turn of a dial. Instant macro lens at the turn of a dial. The form factor and construction of the Leica Q is superb. It feels like a classic M without feeling clunky and large. In fact I'd almost argue that this feels more like my Leica M2 than the Leica M9 or Type 240. It is slightly smaller due to the lack of range finder, but rather than making this camera smaller, they actually kept the height the same as all current M bodies at 80mm tall. The Leica Q actually feels like a classic M in my hands. Very similar dimensions. 3mm taller, and 8mm narrower. The fit and finish is very Leica for sure. The leatherette finishes are tactile and looks nice, although I can't help but think it will pick up some debris in no time. All the dials, buttons and rings are all very positive feeling. There's nothing on this camera that feels cheap on it. The satin finish is very soft to the touch and not too different from the Leica M and buttons are all very responsive. The shutter dial is low profile but not difficult to use. The exposure compensation wheel is actually very well designed. First it's set right into the body so it's not in the way to push the shutter button, but like all exposure compensation dials, still can be accidentally turned. But despite this, some engineer felt that it was logically that when you first turn the dial, it only brings up the screen for your compensation and doesn't actually change it. After the menu comes up, you have to then select your Ev compensation amount to make it set. It's both good and might be annoying for some. I like it a lot as many other companies have the dial in this place that often gets accidentally bumped and changed. The shutter dial also has a position to put it into aperture priority mode and auto shutter. 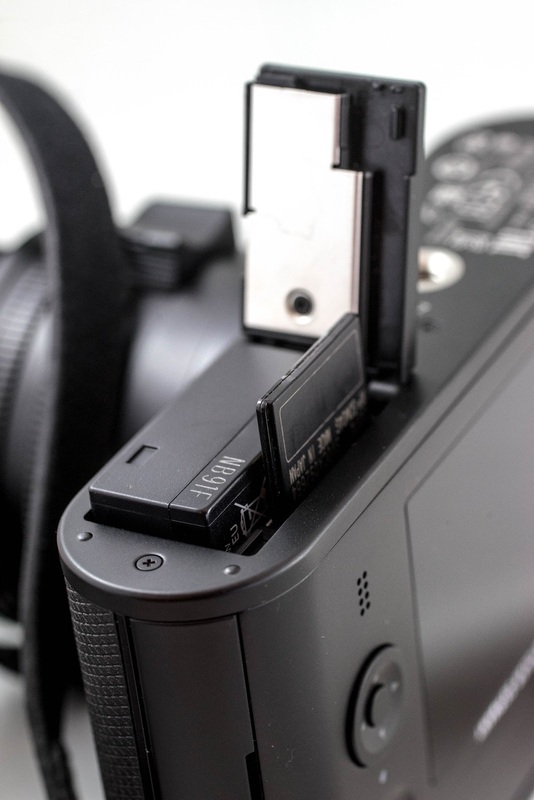 The dial only goes up to 1/2000 for the leaf shutter but when you need more, the shutter can give you up to 1/16,000 of a second in electronic shutter mode. The only caveat of shooting with electronic shutter is the potential of rolling shutter. The leaf shutter is also very quiet. I argue that it's only slightly louder than the X-Pro1 which is almost silent. I actually prefer this to a completely electronic silent shutter. Some feedback is nice even if it is barely louder than tapping your nail lightly on a camera case. The shutter also offer 1/500s flash sync. This will be great for any action studio shooters, but one odd thing is the lack of a bulb mode. I found the omission of this standard feature a bit odd. I hope that this is an oversight and maybe it will come in the form of a firmware update or in the WiFi app that I didn't have access to. There is a time lapse function in this camera that I didn't explore, but that has some interesting creative possibilities. A movie record button is also located right beside the shutter button. As a video shooter this is very welcome. Unfortunately it doesn't appear that it can be customized. 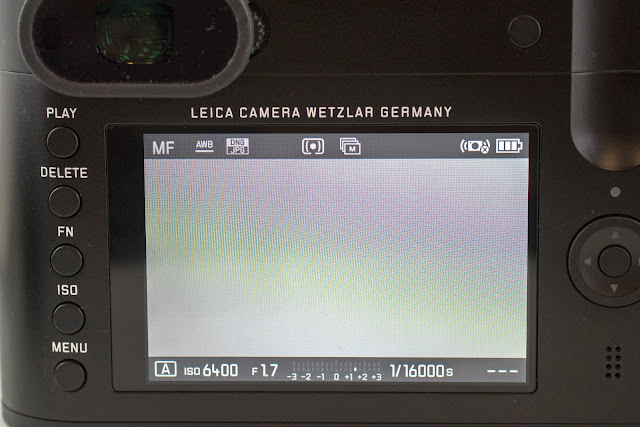 I hope that this oversight from Leica will be fixed, but like a few other buttons on this camera, customization is rather limited. 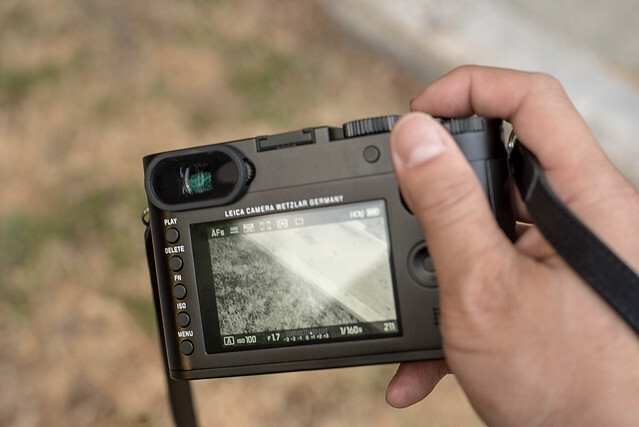 There's an additional function button that if found on the back right by the shutter dial which has the most customizability, but it's limited to a small list of common functions. By default this is set to frame selector (or crop modes). Doors and access ports are well made with one on the side of camera that reveals access to micro- HDMI and mini-USB ports. The battery and media card access is at the bottom and the tripod socket is located in line with the centre axis of the lens. The battery has approximately around 300 shots per charge and around 45 minutes of video. About what I'd expect from a battery of this size. The battery (BP-DC-12) is also the same battery found in the V-Lux and also other Panasonic cameras (Panasonic DMW-BLC12). The Leica battery is almost $200 USD, so it might be wiser to get extra Panasonic batteries which as far as I know are exactly the same. Batteries are always bone of contention with me. I find that my Sony equipment all seem to need lots of extra batteries. But compared to the RX1 series, it's closest competitor, this camera is significantly better on battery. There is no official documentation on whether or not there are dust and moisture seals on this camera. I will not make any assumptions on that, but to be on the safe side, let's just say it doesn't have any. 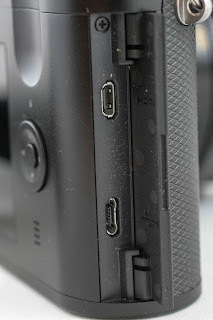 A thumb indent is located just above the control D-pad and it's very comfortable in my hand. All things considered though. I would suggest getting a wrist strap or the integrated hand grip with finger loops. Although I like grips on my cameras, the accessory adds more height to the camera which I don't necessarily feel is needed. The camera is comfortable in the hand and I didn't find that it was uncomfortable, but having a decent grip is essential with the satin finish of Leica cameras. A series of common buttons is also found on the left side of the LCD display. The buttons are nicely integrated into the design with just enough protrusion to easily press the buttons in. The typical buttons are found there with a FN button that has a limited set of customs functions you can assign to it. 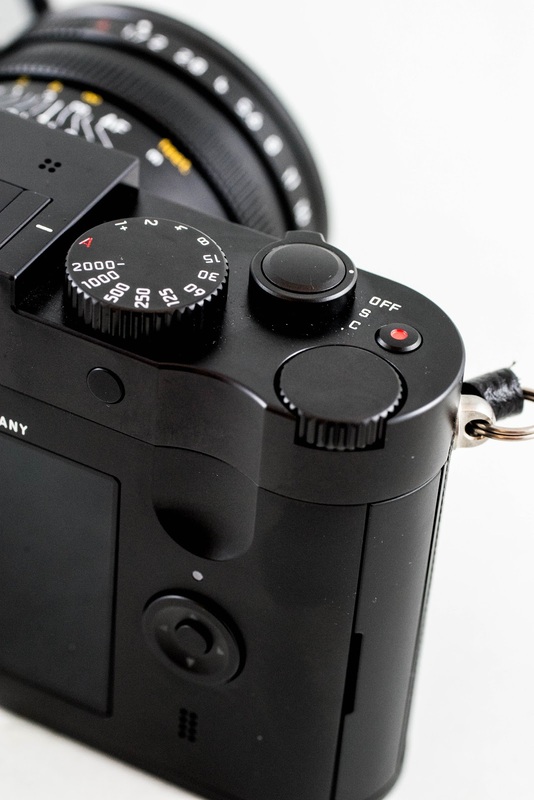 These buttons are also found much closer to the edge of the camera unlike the Leica M. This is certainly going to make it much easier to access those buttons with your left hand. The display is a healthy 3" capacitive touchscreen display. I didn't get a lot of time with it, but it also has gesture controls on it that makes it very iPhone like. The eyefinder is a large display that includes a diopter adjustment and a 3.7MP LCOS display. I didn't find any lag to this display and while shooting in the day with it, did not find it too dark. LCOS stands for Liquid Crystal On Silicon display. It has some advantages for near eye viewing, but due to it's polarization design, it can introduce some odd distracting colour behaviours when blinking or viewing on an odd angle. However the resolution is sharp and bright. I found that it didn't take long to get use to this display. There's also an integrated eye sensor on it so it will automatically flip from the LCD to the finder. 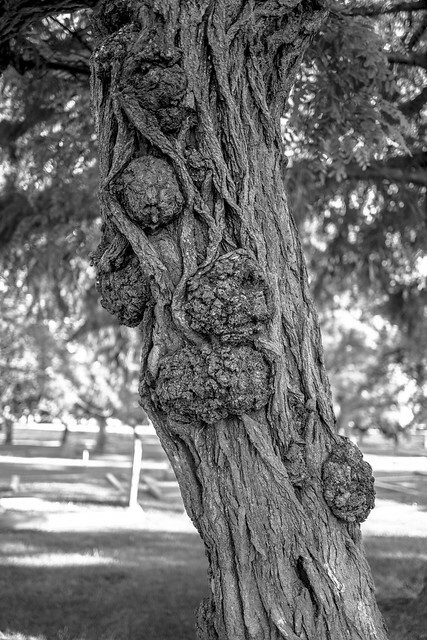 I'm uncertain if this is a CMOSIS sensor like the ones found in the Leica M (Type 240) or not, but judging from the images I've taken with this camera, similar sensor or not, I found them to be quite spectacular. This unit is a pre-production unit so there is a possibility of some improvements in firmware (1.02). According to Leica, this camera has a 13 stop dynamic range which should be identical to the Leica M. This is very good still but isn't over the top great in comparison to many 14+ dynamic range digital cameras, but from my own tests in Adobe Lightroom (which is included with the purchase of the Leica Q), I found that it was more than plenty of information for 99% of my edits. Inspecting the dynamic range of the images. In most cases of shadow and highlight recovery, I would argue that this range is plenty. Without having two exact files from the Leica M240 and the Leica Q to compare, I can only make a speculative observation that noise seems to be better controlled in the Q over the M240. I also think there's a better baseline gamma on this camera which helps avoid highlight clipping over previous Leica cameras. All things considered the results are pretty spectacular and working with them in Adobe Lightroom is both easy and rewarding. My own custom black and white workflow (http://www.frontallobbings.com/2013/08/black-and-white-images-that-pop.html) also loves the Leica Q files. Despite only having 13 stops of dynamic range, I did not find that this was at all limiting. Because the signal to noise ratio is so good on this camera, I was very comfortable editing the images as if they were 16+ stop black and white film. Film like black and white is easily achieved with this camera. One of the things I'm critical towards Sony A7 series cameras is their colour and gamma. As soon as I loaded up the images into Adobe Lightroom 6/CC, the results were pretty clear to me. Unlike Sony files, the Leica files responded like most other digital camera files. Colour adjustments were easy and intuitive, and I did not find certain colours going fluorescent like they do in Sony file. Also the fact that the Leica Q writes their 14bit colour data to a DNG format is also another plus, however DNG files are not the smallest of files. I will also admit that the JPG files off this camera may look great on the display, but to be honest, they do not hold up well when I bring it up on my display for review. I don't recommend critical images shot with the in camera JPG engine, shoot in DNG and set up a good workflow for your edits. Reviewing image in the camera are also very slow. It's almost like Leica's engineers forgot to embed a thumbnail preview into the DNG files. It was painfully slow and requires rendering each image to view it. Not a huge deal breaker for me but lets hope that this is just a pre-production glitch. Very pleasing blues from this sensor, unlike Sony sensors that tend to fluoresce with editing. Obviously the lack of an AA filter has some immediate impacts on the image. But there is no doubt that both the combination of lens, the sensor and the lack of AA filter creates ridiculous details when pixel peeping the images. I can only compare this to the Sigma DP Quattro for this kind of clarity and detail. Although I didn't photograph too many textures where moire might rear it's ugly head, I am truly impressed with the bayer mosaic sensor image quality that comes off of the Leica Q.
I also would make some comparisons to the X-trans sensors found on Fuji cameras. 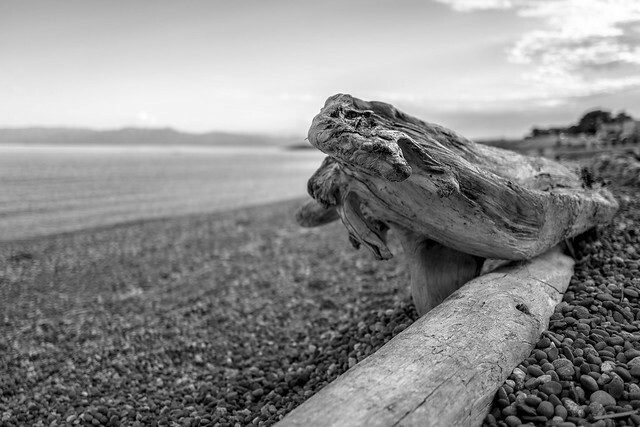 Aside from strong image quality, it has a similar user experience I get from the Fuji X-Pro1 rangefinder-esque cameras. 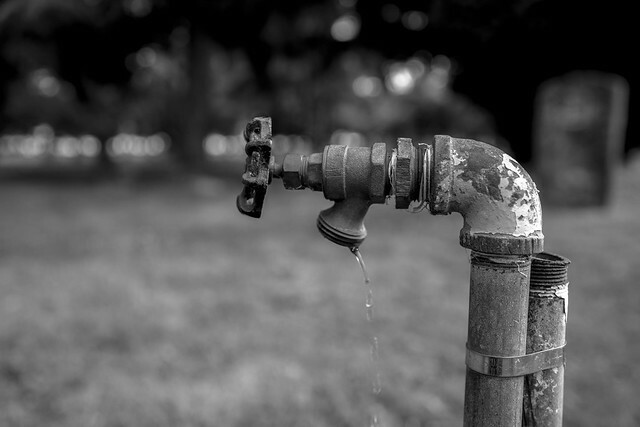 When these images are converted to black and white, you really get to appreciate how amazing this interpolated sensor really is. 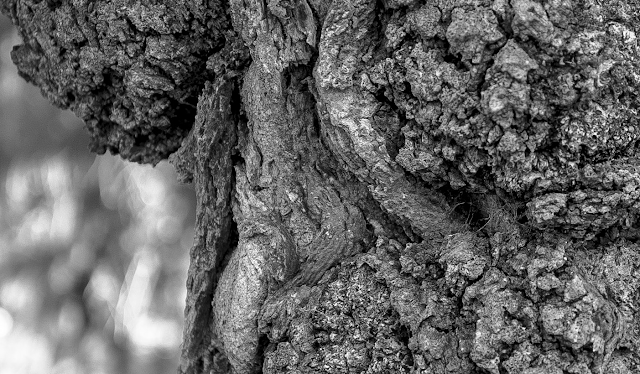 Both the Sigma and The Fuji X-trans, which are very nice for black and white work, are really outdone now with this camera. 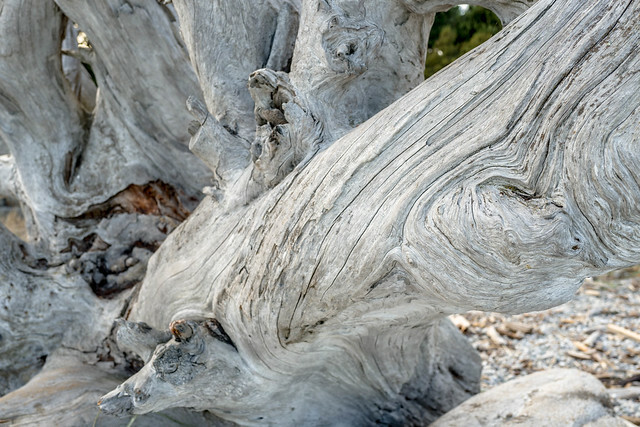 100% crop, click to view full size. One interesting feature in this camera is the ability to select the crop mode and bring up a very bright rangefinder like frame line to compose as if it was 35mm or 50mm. Basically it's a digital zoom that crops down the images from the 24MP down to 10MP for 50mm and 15MP for 35mm crop. This does not affect the full 24MP DNG files if you change your mind. 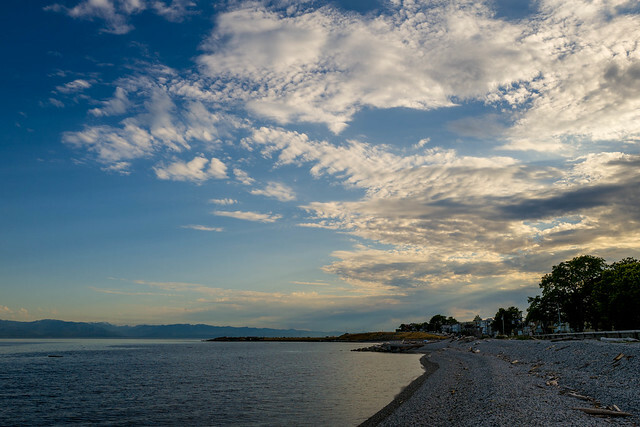 It's handy to use when composing and should you change your mind, Adobe Lightroom allows you to go back to the crop mode and resize the crop appropriately. Most will find this feature novel but it did kind of made this camera feel like I'm using a tri-elmar lens which does increase the versatility of this limited focal length. 10MP is also higher resolution than most 35mm films. Optimal professional scanning will only yield anywhere from 6-10MP for most traditional films. 10MP crop in 50mm simulation mode. Plenty of detail the still rivals traditional film resolutions. The one thing I didn't really get an opportunity to test was the high ISO. Leica cameras are not known for great low light performance. This camera is rated to go to 50,000 ISO, which I'm certain isn't all that great, but at least available for those intimate moments where little ambient light is available. 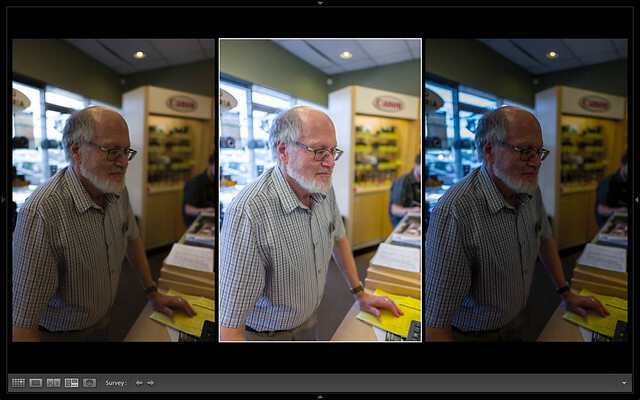 Although I did look at the comparison files at DPReview http://www.dpreview.com/previews/leica-q-typ116/5 and compared it to the Sony RX1R and both cameras seem to match each other well with the Sony files slightly better in noise performance, but the Leica outdoing it with resolution. No doubt this question will come up for many. 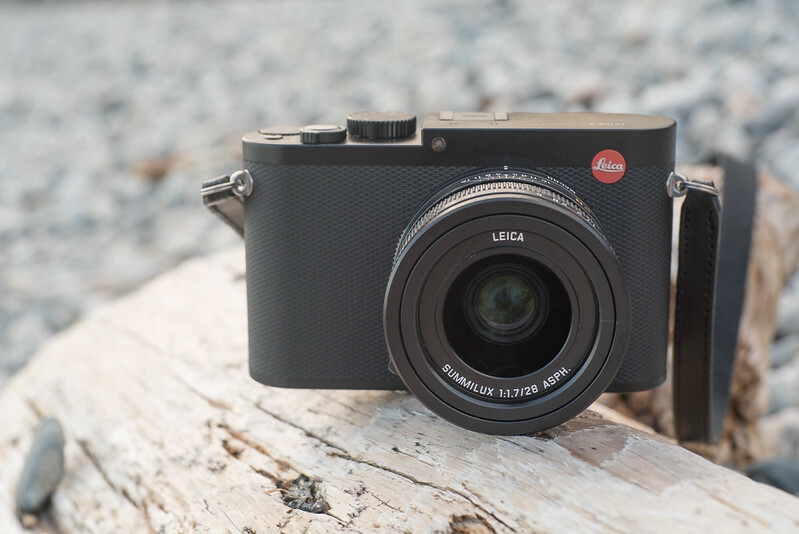 Is the Leica Q expensive? Relative to the Leica brand it isn't. This camera comes in at around $4,300 USD. 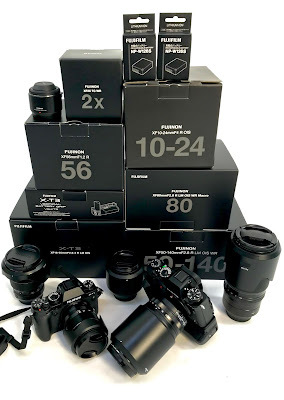 Approximately $1,000 more expensive than the release price of it's nearest competitor, the Sony RX1 (Sony RX1R is currently around $2,800 USD). The RX1 also doesn't come with an integrated finder, which is an additional accessory at $500-$600 USD. Batteries are an issue with the RX1 series and you'll need at least two batteries to Leica Q's one. All in all even at today's prices, an RX1R with finder and extra battery is around $3,500 USD, a difference of around $800. The lens alone is most of the value of the Leica Q. 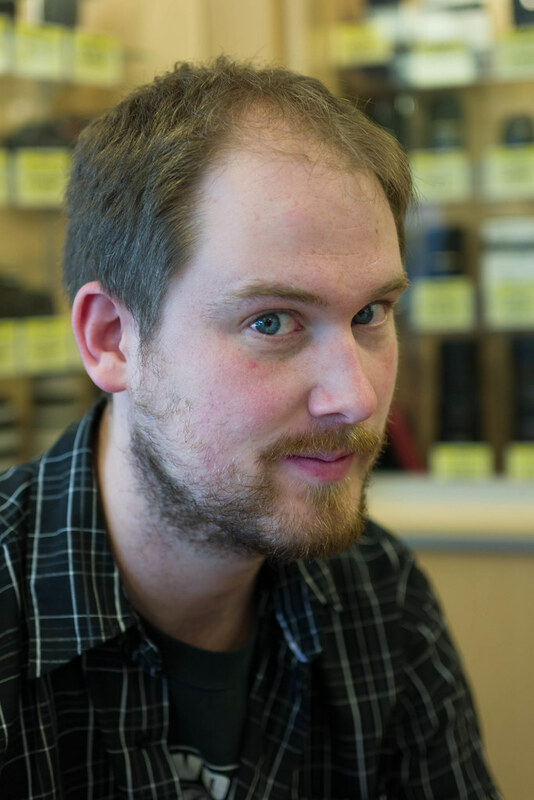 Compared to a Leica Summilux-M 28mm f/1.4 ASPH. lens at around $6,000 USD, or the budget Leica Summicron-M 28mm f/2.0 Lens at around $3,800 USD, the Leica Q gives you the performance of the $7,000 Leica M with probably similar quality of the $6000 M-mount lens equivalent. 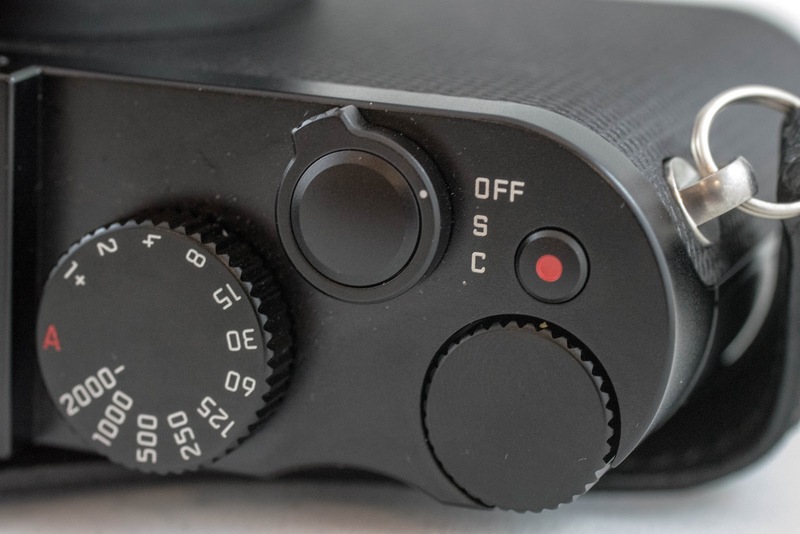 Lets not forget a few other things that this can do over a Leica M which is being rangefinder like when you want it to be, to being a modern digital camera with auto aperture, auto focus, auto shutter and image stabilization. This means the Leica Q is basically a $13,000 camera for $4,300 – a savings of around $8,700 (enough for at least two great trips to use the Leica Q on). 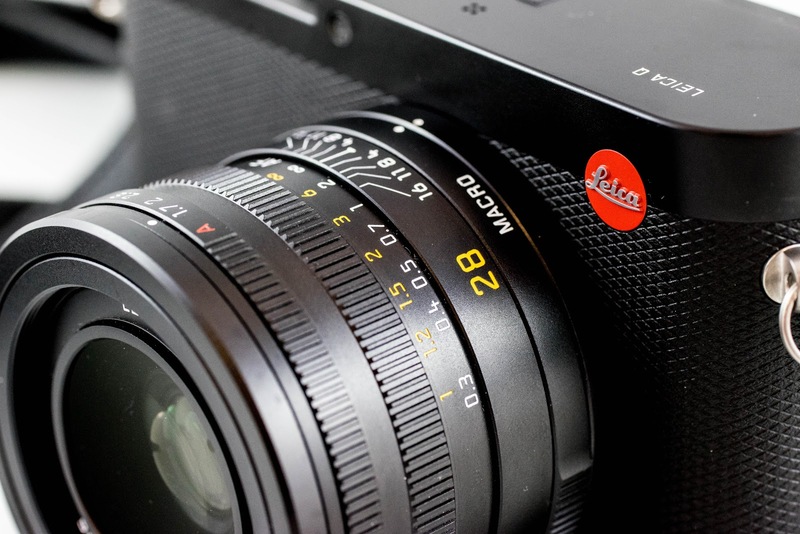 The Leica Q, for some, will certainly be great value! My time with the Leica Q was short. Although I got to shoot with it for the day, it was very hard for me to give it back to Kerrisdale Camera's who was generous enough give me so much time with it. Most importantly I can say from the images that I've taken with it and the overall experience I had with it, that Leica has a clear winner on this combination. I suspect they will sell lots of these when they start to become readily available. I would love to spend more time with this camera if I can, and if I get the opportunity for more time with it, I'll post more updates. 28MM too wide for me as a non-interchangeable lens. My preference would be for, say, a 40MM F.2 Summicron a la Leica CL (or even a 40MM f2.4 Summarit as on the Minilux). Both these were superb lenses and should be cheaper and more compact. Some others have suggested making the lens interchangeable but I suspect that Leica would fear losing sales of their "M" models! Thanks for you comment and I partially agree with you. It's a tough balance for a non-interchangable lens cameras. I think this was more about sales in this case than creating the perfect tool. 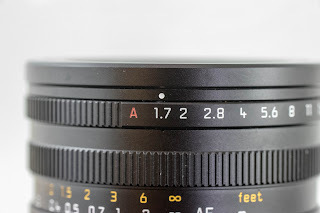 I love the idea of a 40mm F/2 Summicron so maybe one can wish. Sigma is no stranger to making custom focal lengths for their own niche non-interchangable DP2 cameras that seem to do alright in the market. Once Leica feels comfortable in this segment with this camera, perhaps we'll see a couple of other focal length variants. You have made me want this camera, and I can't afford it, and you should feel bad. I want to say thank you for a very informative review first of all, and secondly thank you for the large sample images. 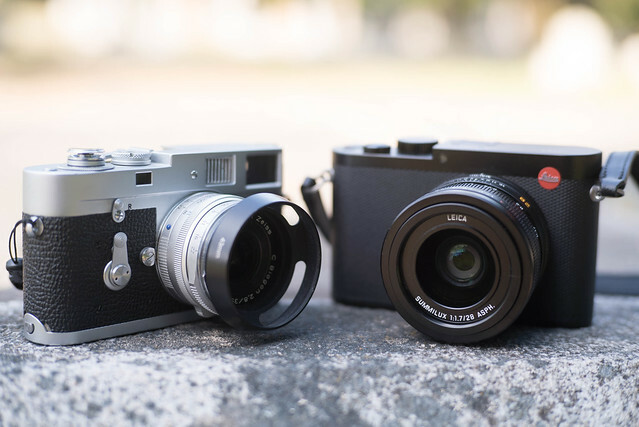 Sadly, that M2 comparison shot makes me really crave the old style Leica more than the newer designs, there's something that feels soulful even if they look austere. Thank you for your perspective. I don't disagree with your points at all. Some of that nostalgia of the M2 is recaptured by the way the lens is designed and operated. I found the thumb lever and all the manual controls on the lens provides some of that 'soulful' feeling. The camera does occupy a very special niche. Much like the RX1 and it's amazing Carl Zeiss optical finder that seems to be brighter than my own eyesight, these cameras introduce a unique user experience but at a much high price point. It's not for everyone, including myself, but if you can afford this camera, it doesn't take long to find it more focus driven than probably the GR. Leica has made a camera in my opinion, that is easier than ever for someone to get into this brand, with image quality and user experience similar to the Leica M at a fraction of the Leica brand cost.